Fact: Youth who are first-time smokers are picking up a hookah pipe more often than a cigarette. 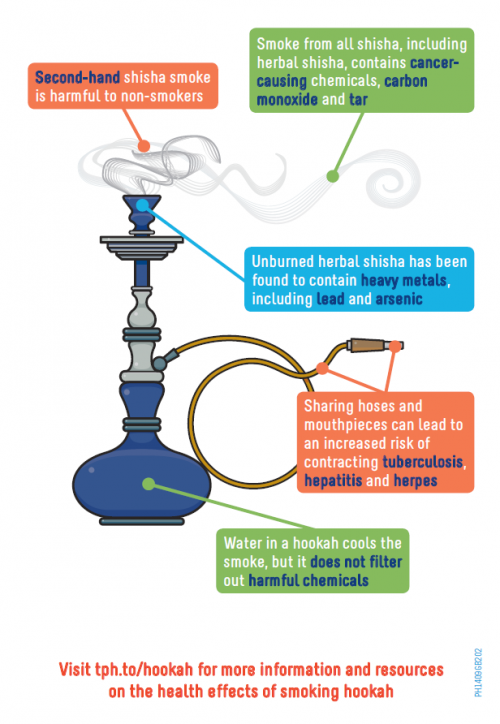 Fact: Hookah is not a safe way to smoke tobacco. Fact: Herbal shisha is not healthier than tobacco shisha. Fact: Hookah, narghile, goza, hubble, bubble; whatever you call it, if you are smoking shisha, you are smoking.